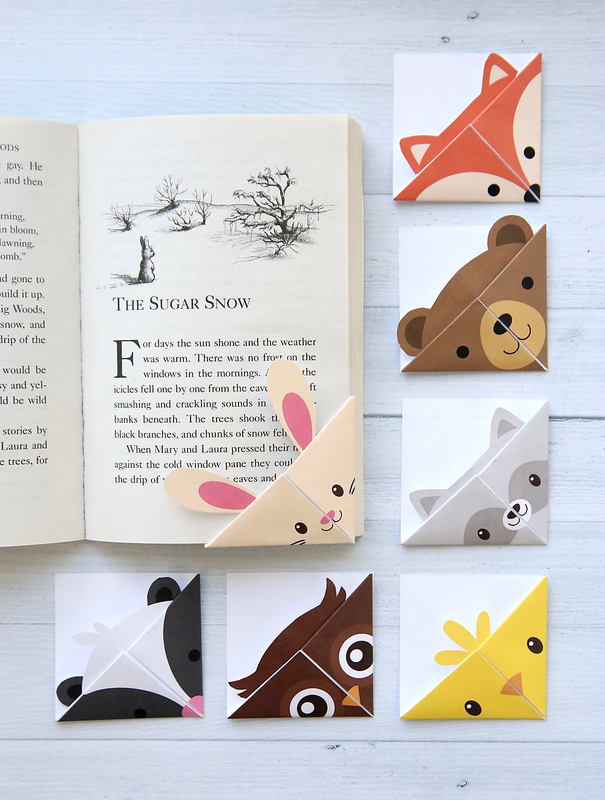 These woodland animal origami bookmarks are adorable! 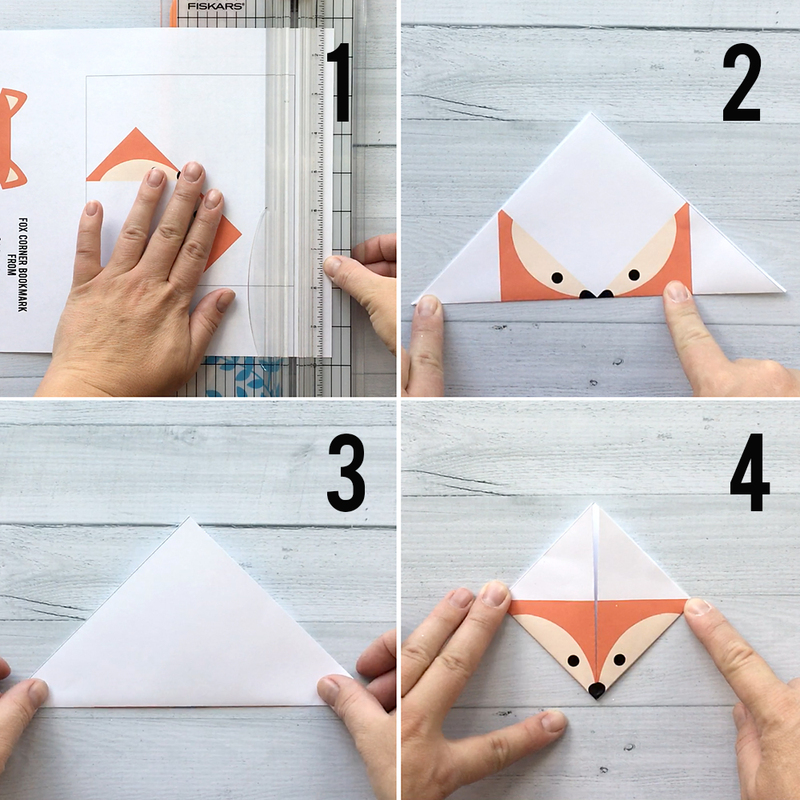 Learn how to make a DIY bookmark out of one piece of paper with seven free printable origami templates. I don’t know if I’ve ever mentioned this, but I am a book mutilator. Yep, that’s right, I turn down the corners of pages to mark my place, and the college I attended considered this “book mutilation.” You could even get fined for it! Well, if that didn’t teach me to start using bookmarks it’s likely nothing will, but at least my children haven’t inherited my criminal ways. One of my younger kids recently taught me how to fold origami bookmarks which slide over the corner of the page you are on to save your place. He even drew eyes and teeth on his corner bookmarks to turn them into little monsters. 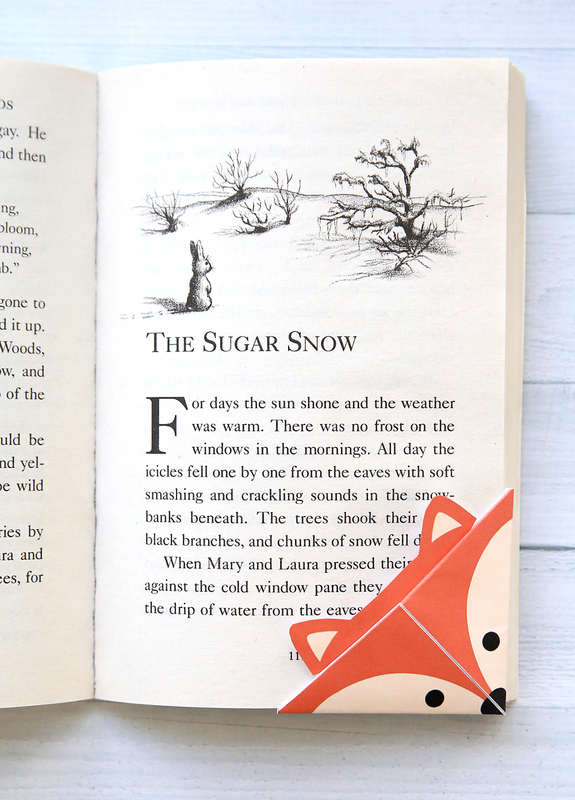 I figured it would be fun to turn origami bookmarks into little woodland animals. 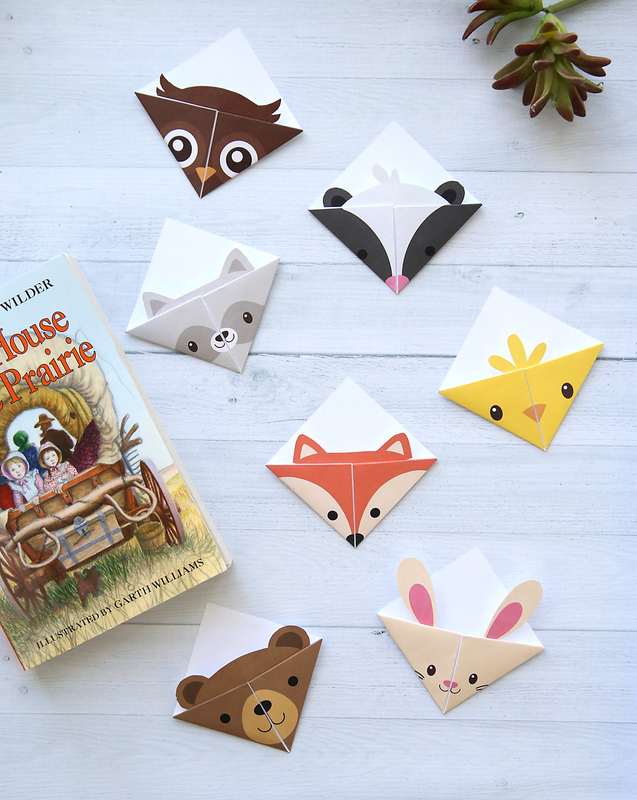 So I’ve created seven different printable templates you guys can use to make cute origami bookmarks with your kids. Aren’t they adorable? All you have to do is print out the one you like best and cut out the square and the ears. 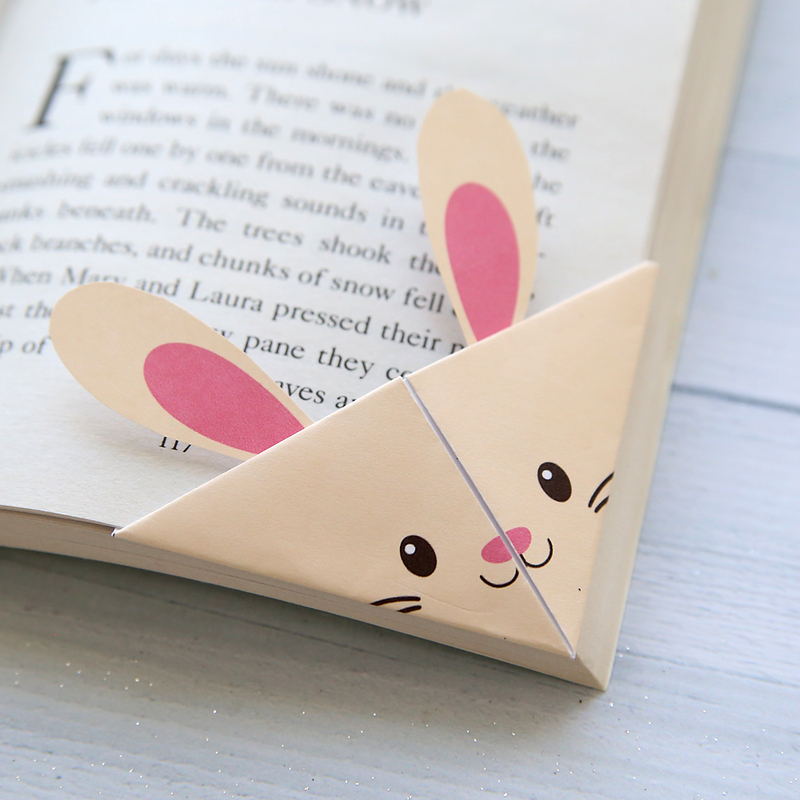 A few folds later you have an adorable DIY origami bookmark that will help keep you from a life of book mutilation. I’m partial to the fox, but that little skunk! He’s pretty cute too. Since I possess pretty much no artistic ability, these bookmarks were created with permission using woodland animal clipart from two Etsy stores: ClipArtisan and MyCuteLobsterDesigns. Check them out if you need some adorable clipart for your projects! As with all my printables, these are offered for personal use ONLY and may not be redistributed. Please refer friends to this blog post to print their own folded bookmark templates. One DIY origami bookmark complete! Now go ahead and print out all the other versions so your woodland animals can have some friends. « How to change the background in your photo to something way cooler! Thank you. I hope to use these for the grands Valentines. I have tried three times to go to the instructions for folding these, and the url does not work. Any suggestions? These are brill! I admire your creativity! I am making these with my son today for him to give as gifts to family. Thank you!! This is so lovely! Thank you so much for sharing! I will show them to my mother-in-law who is a librarian at an elementary school! Is it ok, if she uses them with her class? of course! thanks for checking. I could not get these to print in color. Is there a reason for that? I tried 2 different printers. I love these and would like to make a few for my girls. these are so cute and east to make, thank you! What does the paper settings have to be in order to print. Mine are printing too small. Hey Autumn! I really enjoy reading but most of the time I don’t have a book mark. So I found this on pinterest and I printed it. 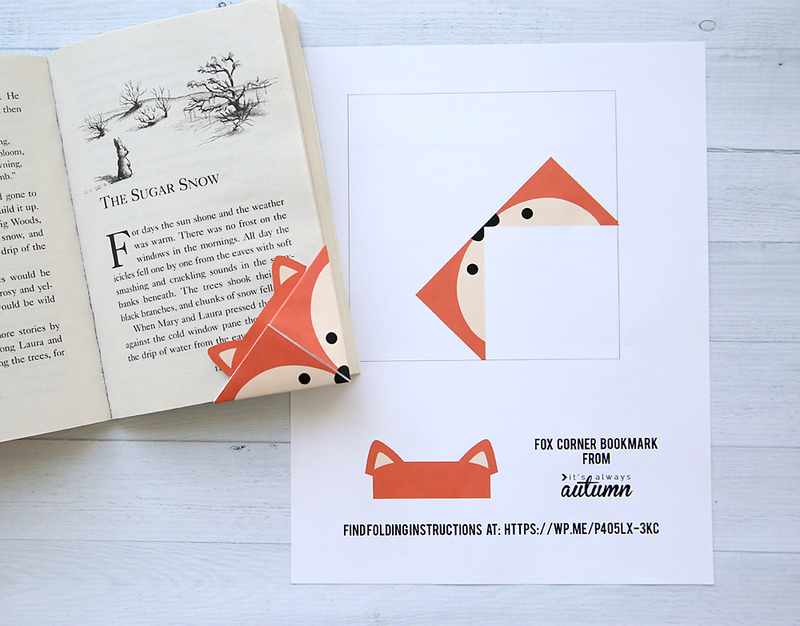 It ended up super cute, I printed the fox. And yeah thank you for making that. It would be cool if you could make a cat one. Thanks so much!!! When I was at school we’ve learned how to make such animal origami bookmarks, I remember I’ve made a hedgehog and a giraffe, it’s a pity I can’t show it here. Now my little sister use them for her books too! 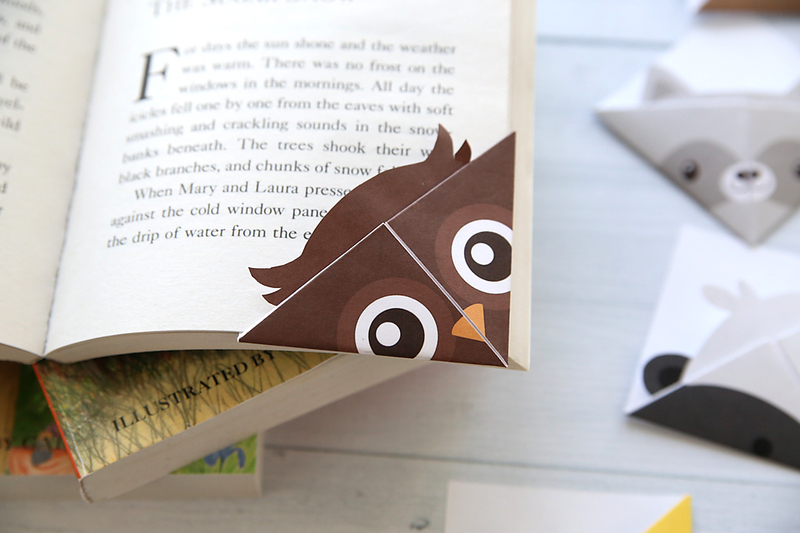 Thank you for sharing this wonderful idea, I think such bookmarks make studying more interesting for children. Thanks so much for making these and maaking them available to everyone!!! I really appreciate it!!!!! First time to this blog, I absolutely love the content! How to get pattern. They are just what I need for book club buddies. Hi Autumn! I want to start off by saying thank you for your awesome crafts. 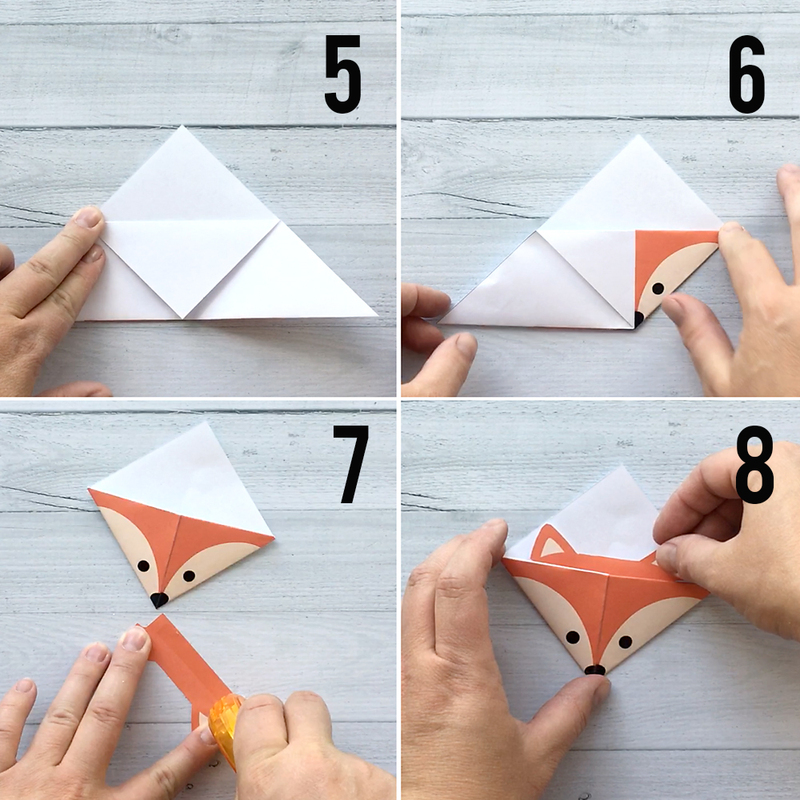 I fell in love with the origami fox bookmark but ended up making all with my girls. I made homemade bookmarks and the series of these for the Sensory Arts And Crafts article for Outfox Magazine, a magazine custom created for kids on the Autism Spectrum. I hope that it’s OK to do this. The magazine goes to print in March 2019. I will include a link to your site so that hundreds of kids can check you and your fun crafts out! If for some reason you would prefer me to not share your book marks with our readers please let me know. I did not take any pictures from your site, we took pics of us making them. These are so cute! Thanks for the printable s and in the instructions! Hi Autumn! thank u so much for these cute bookmarks! !